Skills@Work is compiled and distributed by the Australian Government Department of Education and Training. All articles are submitted by the originating organisation and are published with their approval. They may not necessarily reflect the views of the department. The Prime Minister Malcolm Turnbull announced his new Ministry at a press conference at Parliament House on Monday, 18 July 2016. Senator the Hon Simon Birmingham has been re-appointed as the Minister for Education and Training. The Hon Karen Andrews MP has been appointed Assistant Minister for Vocational Education and Skills. 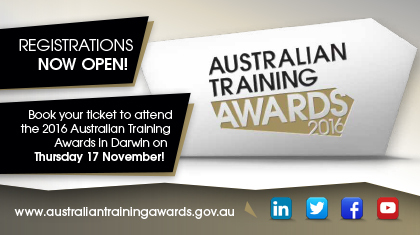 Australia’s best apprentices, trainees, VET teacher/trainers, vocational students, businesses, industry partnerships, secondary schools and registered training organisations will gather in Darwin on Thursday 17 November at 7:00 pm for the 2016 Australian Training Awards. Eighteen award categories will be presented, with state and territory winners from aligned categories competing at the national level. There are also seven award categories available for entering directly to the Australian Training Awards including the Lifetime Achievement Award to be presented in recognition of an individual's outstanding leadership and contribution to the VET sector for more than 25 years. In line with its commitment to greater transparency, the Australian Industry Skills Committee (AISC) has launched Australia’s first National Schedule covering the review and development of training packages planned over the next twelve months. The National Schedule is a single source of information for VET stakeholders, enabling timely consultation and more effective planning and resource allocation. • completing outstanding work such as the transition of units of competency to the 2012 Standards for Training Packages. The second annual Total VET students and courses 2015 published by National Centre for Vocational Education Research (NCVER) provides an estimate of the nature and extent of training reported by 4277 Australian training providers. The second report shows that training was delivered to some 4.5 million people in Australia and overseas and that this included an estimated 4.2 million Australians aged between 15-64 years. “This second report builds on last year’s release that began to tell the fuller story of training in Australia”, said Dr Craig Fowler, Managing Director, NCVER. “It includes data from training providers that were previously granted exemptions so the latest picture of Australia’s training sector is more complete this year. It shows that about one in four working-aged Australians undertook some form of vocational education and training in 2015, a finding consistent with the report of 2014 activity”. “Whilst the majority of students enrol in programs covering certificate I to diplomas, a significant number choose to study in ways that suit them, including skill sets or only some subjects, recognising that some 90% of students study part-time. This demonstrates the sector’s ability to cater for different needs”, said Dr Fowler. Copies of Australian vocational education and training statistics: Total VET students and courses 2015, are available from https://www.ncver.edu.au/publications/publications/all-publications/2874 An infographic is also available from NCVER’s Portal. The Australian Training Awards is not just one spectacular night to remember on the vocational education and training (VET) calendar. Winners, runners up and finalists have real stories and real achievements to share that can provide the inspiration people need to gain real skills for a better career, or provide the best practice businesses and training providers need to improve their training outcomes and ensure sustainable growth. The fourth series of the Australian Training Awards’ Real Stories Real Achievements videos is now available to view! The National launch for National Skills Week 2016, will take place at the Queen Victoria Markets, Melbourne, Victoria on Wednesday 24th August 2016. The evening will be celebrated in two parts, one with a private cocktail style function for 250 guests held in the Dairy Hall (private function space) and attended by Ministerial representatives, Government representatives, Industry, registered training organisations, private training providers, education stakeholders, SSO representatives, Indigenous organisations, adult and community education organisations, culturally linguistic organisations and representatives from careers advisers associations and media representatives. The second part of the evening being trade and skill demonstrations in the public sector of the Queen Victoria Market (open to the general public), taking place from 5:00 pm and concluding at 10:00 pm. Australian Training Awards finalists, Kerrilyn Bassett the 2015 Victorian Apprentice (Trainee) of the Year and Elliot Grayling the 2015 Victorian School-based Apprentice of the Year will be launching National Skills Week in Melbourne on Wednesday August 24. 2015 Victorian Apprentice of the Year and Australian Apprenticeships Ambassador Christopher Henbery’s Real Stories Real Achievements video will feature at the event as well. The world united earlier this month to promote youth skills development by celebrating World Youth Skills Day (WYSD), the second year of celebrations since the United Nations declared 15 July each year to be dedicated to this important cause. Read about what your workplace can do. The USI Office will be hosting a webinar on 25 August. There will also be a presentation from the National Centre for Vocational Education Research, regarding correction of AVETMISS records. The webinar is recommended for any student support and VET reporting staff and managers who were unable to attend the face to face workshops. Registrations are now open via the USI website. On Tuesday 30 August, Group Training Australia Patron, His Excellency General the Honourable Sir Peter Cosgrove AK MC (Retd), Governor-General of the Commonwealth of Australia, will launch the 2016 Today's Skills:Tomorrow's Leaders program program at a morning tea at Government House. Run by GTA since 2004, this year’s program will be held at the Australian Institute of Sport in Canberra from 28 August to 2 September. 16 apprentices and trainees from the following GTOs will attend: HVTC, MG My Gateway, NovaSkill, Electrogroup, HTN, Ai Group Apprentice and Trainee Centre, Murraylands Training and Employment, ATEC Group Training, PEER VEET, TAPS, Electrical Group Training, The Apprentice and Traineeship Co, and GTNT. Western Australia – 23 September 2016. The Australian Institute of Training and Development (AITD) is seeking speakers for its 2017 National Conference, AITD2017, to be held in Sydney on 11-12 May 2017. Expressions of interest to speak at the conference close on 30 September 2016. Information is available on the AITDs website. GTA is pleased to announce that Lauren Tiltman has accepted the role of National Executive Officer of GTA Ltd.
Lauren has held three different roles with GTA SA since 2012 and has a solid understanding of the Group Training industry. Throughout her career Lauren's personal experience of Group Training, as Trainee of the Year for both GTA SA and the state department, TSTL participant, mentor and presenter and a member of various council, committee and roundtable positions before and during her four years with GTA SA, has given her a valuable perspective. Lauren has been a successful Group Training advocate, presented to two parliamentary enquiries in SA and during her tenure, GTA SA has maintained its position as a successful state association both maintaining funding and other benefits (workers compensation, payroll tax etc.) and attracting new funding for the benefit of the association and its members. Lauren takes up the position of National Executive Officer on 15 August. IRCs are responsible for planning the work that will occur in the upcoming years to the training package they are responsible for. The system requires each IRC to develop a Four Year Work Plan to provide notice to industry, training providers and the system about what is being considered for the future development of skill standards and qualifications in the training package. • Pulp and Paper Manufacturing. We will be collecting feedback on behalf of the relevant IRCs until 31 August 2016. Australian Training Awards finalists, Kerrilyn Bassett and Elliot Grayling will be launching National Skills Week in Melbourne on Wednesday 24 August. The event will also feature the Real Stories Real Achievements video of 2015 Victorian Apprentice of the Year and Australian Apprenticeships Ambassador Christopher Henbery. Certificate III in Agriculture (Dairy Production). With no previous experience in the dairy industry, Kerrilyn Bassett made a decision to leave her career in retail and join her family’s business as a farm hand. It was a decision that has led Kerrilyn to a rewarding career and the beginning of a lifelong journey of learning and mentoring. 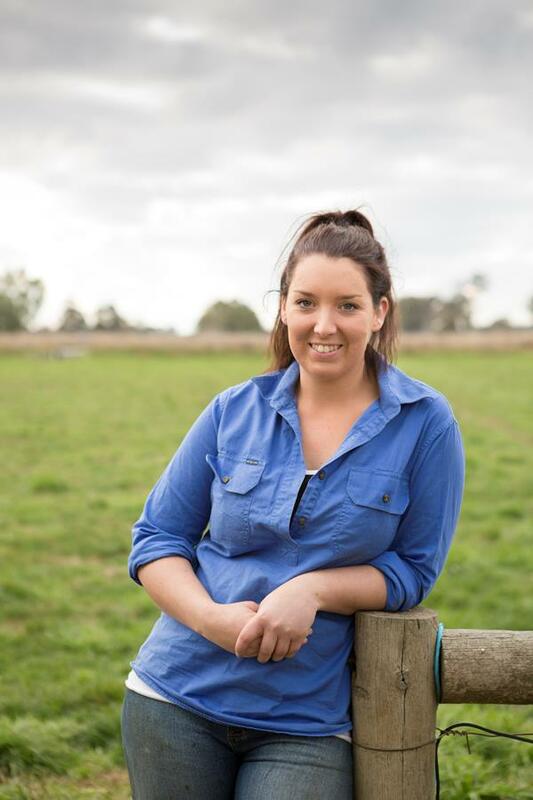 Kerrilyn undertook a Certificate III in Agriculture (Dairy Production) at Goulburn Ovens Institute of TAFE while training with Peppertree Dairy. 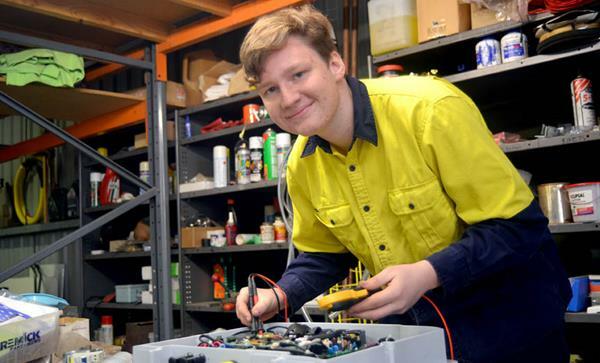 Elliott Grayling credits his father’s dedication to work as an electrician as the reason he chose to undertake an Australian School-based Apprenticeship in electrotechnology.Elliot was only 14 years old when he started his training. He believes his Australian School-based Apprenticeship has given him a great insight into the many fields offered by the energy sector. Elliot’s on the job experience with his father’s business, Grayling Electrical has provided him with experience in domestic installation, to commercial buildings, high voltage power stations and the day to day running of a business. Certificate III in Horticulture (Retail Nursery). Chris Henbery had spent much of his working life as a banker in London. Immigrating to Australia in 2011 with his Australian wife and young son, Chris took the opportunity to change careers and follow his passion for horticulture. 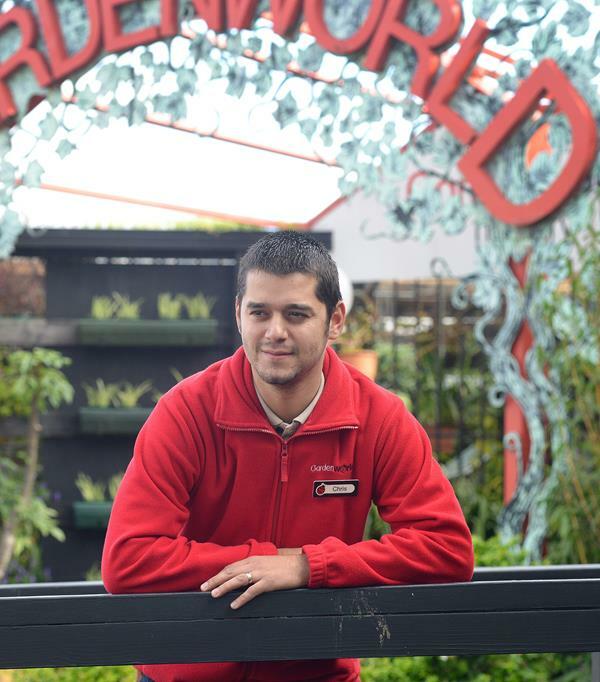 During his apprenticeship, Chris’ talent, passion and achievement were recognised through numerous awards from Swinburne and the horticulture industry. In 2015 he completed his Certificate III in Horticulture (Retail Nursery), won Victoria’s Apprentice of the Year title, was an Australian Training Awards finalist and was appointed an Australian Apprenticeships Ambassador. The 2016 VTA State Conference programme brings together an exciting list of local and international speakers to engage Victoria’s public VET sector leaders in the challenge to collaborate and innovate. Register or read more on the VTA website. TMA's 2016 Annual Conference, Lead on, will be held at Taronga Zoo and includes cocktails in the elephant enclosure! Book your ticket or learn more on the website. The 2016 theme is Connecting Knowledge skills and Futures through Innovation. Presenters include Professor Ian Harper, Chair of the Competition Policy Review, Dr Subho Banerjee Deputy Secretary Skills and Training, Commonwealth Department of Education and Training, Andrew Norton from the Grattan Institute, Professor Peter Noonan from LH Martin Institute and Jonathan Chew of the Nous Group. Todd Russell, survivor of the Beaconsfield mine disaster, will address the conference on Drawing Strength from Adversity. Keynote speakers include Ms Muriel Stanley Venne, Ms Rachelle Venne, Dr Nina Sivertsen and the Hon. Linda Burney MP. Visit the conference website to register or to read more about this and other Indigenous conferences. Visit the conference website to register or for more details about the conference. For more information about the Conference, visit the Velg website or contact the Events Team on 07 3866 0888 or at conference@velgtraining.com. Skills Resurgence, the 2016 TDA Convention, will feature high-profile speakers, discussions, engaging workshops, and invaluable networking opportunities. With award winning journalist Virginia Trioli as MC, a highlight of the convention will be the new Innovation Lounge (i-Lounge), a platform to showcase start‑up, early stage and established companies at the cutting-edge of innovative and disruptive technologies. View the flyer and read more about the conference. Get your ticket to the 2016 WorldSkills Australia National Competition. The theme for the National Adult Training and Assessment Conference (NATAC) 2016 is Improving quality, reducing risks. Topics and sessions to be included in the conference will address quality systems in VET, including assessment and links with industry; quality trainers, including the skills/capabilities that VET practitioners need to develop; and quality teaching and learning practices. NATAC will continue to include a significant LLN stream. Visit the ACER website for more details. The theme for 2016 is Assuring quality in the National VET system – Change, Challenge, Opportunity and the conference will focus on where the industry stands with the current and impending VET situation, including future changes to be faced and addressed. This year’s conference will aim to bring together the knowledge of the ElectroComms and Energy Utilities ISC as well as the Construction and Property Services ISC, and their industries, and present an exciting range of presentations, workshops and forums. Register now to attend the 2016 Australian Training Awards presentation dinner. 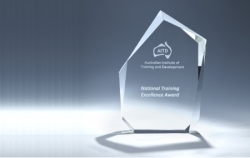 Find out more on the website or by emailing australiantrainingawards@education.gov.au. Looking to establish compliance in your operations and effectively lead your RTO? This event will cover all your needs with regards to policy, compliance, and funding contracts. The summit will put compliance into action, provide case scenarios and examples of best practices, and give you an opportunity to interact with policy makers, regulators, and VET experts. To register for the International Indigenous Health Conference and the International Indigenous Allied Health Conference, please visit the conference website or send an email. Onboarding Skills Sets are now available for improving safety and productivity in the Drilling, Extractive and Mining sectors. Insources provide high quality professional development programs for VET providers and individuals. Go to the Insources website to find out details about webinars, workshops and consulting services. Watch group training apprentices and trainees talking about the value of apprenticeships and traineeships. GTA’s short video is now available on their home page, YouTube Channel and Facebook page. Velg Training – PD and consulting services including Mentoring Mondays, Live Streams, Webinars and Workshops. eWorks – explore their latest blogs. Aspire has a new range of resources for the TAE40116 Certificate IV in Training and Assessment. ACPET - view upcoming webinars and workshops on the ACPET website and register with the PD team at pd@acpet.edu.au or on (03) 9412 5900. TAE40116 Certificate IV in Training and Assessment learner guide from Shea Business Consulting website or the Software Publications website. Heating, Ventilation and Air Conditioning skills channel – learn about the many technical jobs at the cutting edge of technology, environmental and energy efficiency issues. Watch SKILLS BITES social media videos or contact SkillsOne about having your own SKILLS BITE video created. VOCEDplus – the latest research on VET, skills and workforce development issues including Pod network, which allows instant access to resources and the latest research developments within the sector. Australian Industry and Skills Committee - established by the COAG Industry and Skills Council in May 2015, it provides industry-led advice on the implementation of national vocational education and training and approves training packages for implementation. VETNet - a central storage facility for relevant current and historical materials relating to the national VET sector, in particular companion volumes implementation guides. If you would like to provide feedback, supply an article for inclusion in the next edition or join our list of subscribers, please email skillsatwork@education.gov.au. The next edition will be published in September 2016. Submissions are due by Monday 22 August 2016.